There’s something happening over at YouTube, and it’s more than just hosting millions of cat videos. It seems like at some point last year, Google decided to focus more on curating sets of videos and the hard work of a very small Playlist team at YouTube is starting to show itself. You see, most people think of YouTube as a place to host their videos or find funny videos. For some, creating content has even become a primary source of income. When the company first launched, some thought it was absolutely doomed due to potential copyright issues. Google thought otherwise by purchasing it for $1.65B, and the rest they say, is history. 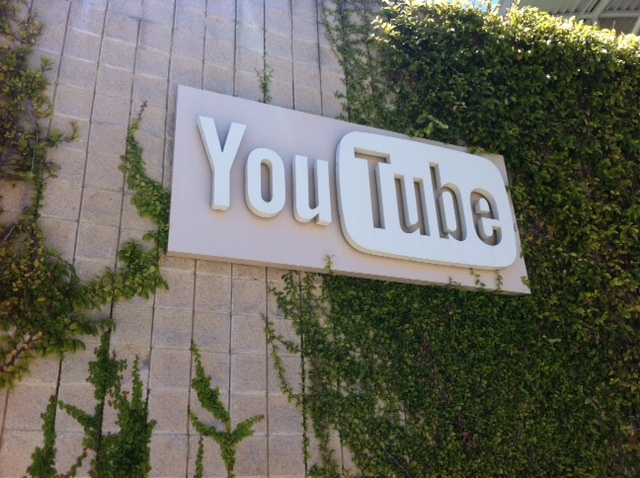 There’s a “middle” group of users, and YouTube is betting on them to do awesome things. When I met with the Playlist team last week, I asked them quite a few questions about what they had been up to. As it turns out, curation is something that’s been on their minds for quite a while. Creating channels and playlists is the fruits of their labor. Dror Shimshowitz, senior product manager for Youtube told me that it wants to be “the platform for the next generation of channels.” That’s a pretty hefty goal, but it’s one that no other company is better positioned to nail it. Up until last year, everything that went into YouTube was all about the videos that are uploaded to the service. Shimshowitz tells me that it’s becoming more about the channels that people create to showcase and share those videos. Google wants users to be able to find videos easily, and search isn’t always the answer to deliver the best experience. Basically, you have to know what you want to see before you perform a search. What makes playlists so important for YouTube is that its users can put little packages of videos together, title them, add descriptions and then share them with friends. Forget sharing, setting up these playlists and channels for your own viewing on the go is even clutch. To date, I was told that 300M videos are added to 20M separate playlists every single month. Even though YouTube hasn’t surfaced this experience, or made a big deal about it, people are seeking out these features. It makes complete sense, as it’s the exact same activity that makes Pinterest so popular. People want to collect things and share them off or view for themselves later on. Shimshowitz tells me that both content creators and viewers had been clamoring for a great playlist experience, one where you could get completely lost in watching five videos in a row of dudes falling off of bikes. Fan clubs are creating playlists under a YouTube channel with concert footage, interviews and cover songs of their favorite artists. A lot of experimentation went into creating these tools, the team told me. Google itself does a lot of internal testing, iterating and limited releases before something hits all users. Since channels can be personality driven, someone who is really good at putting videos together into consumable playlists could easily become a “superstar” without shooting a second’s worth of video. They can already make money by interjecting quick videos in between selections on a playlist. All they have to do is turn on ads for those “commentary” insertions. Think of it as a way of being an MTV VJ or TV host. It’s kind of a hack, but I”m sure that there will be more options as the feature set evolves. The other thing that really interests me is how mainstream media can utilize tools like this. Most of the big networks have “social media managers” that basically tweet and post on Facebook, but it takes real top talent to curate a channel that can keep people interested and engaged. Watch for this trend, because I know it’s coming. Little things made its way into playlists like shuffle and random buttons. Some of those features were a gamble, but they’ve paid off. Also, letting your friends create a playlist for you during a Google+ Hangout was a killer feature to draw inspiration from. I’ve been playing with the new YouTube app for Android, and it takes the whole experience to an all-new level. I’ll be doing a complete review tomorrow, so stay tuned. For startups who are focusing on video curation, they’re going to have to go through Google. Game on.